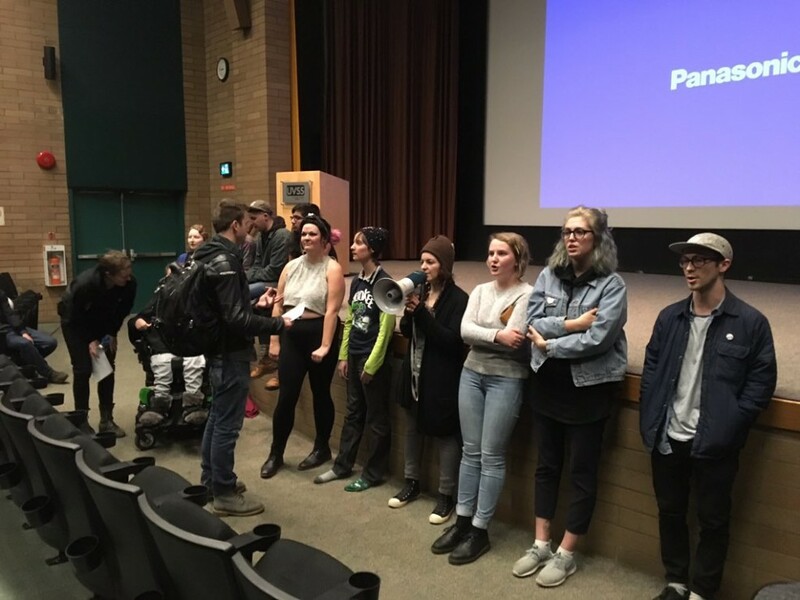 Members of the campus community were put at odds with one another after raucous protest interrupted an UVic Effective Altruism club event at Cinecenta on Wednesday, March 1. Protesters argued that giving Singer a platform was implicitly supporting the murder of disabled people, and that his views supported eugenics. Those in support of the event, meanwhile, argued protesters were infringing on people’s right to free speech. Singer, a key figure within the effective altruism movement, is widely known for his utilitarian perspective on ethics, animal rights, and euthanasia. It’s the latter of which that sparked outrage from disability advocates on campus — advocates such as Luka Garvin, who opposed Singer on the grounds that his views are seen as ableist. 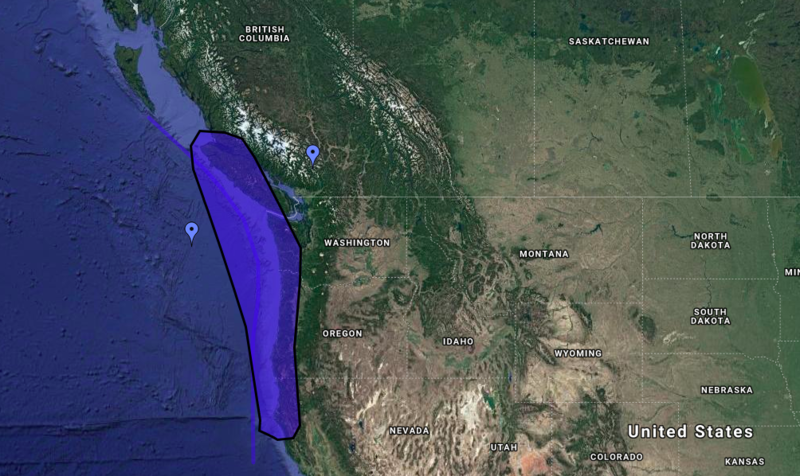 Although Garvin reached out to the members of UVic Effective Altruism prior to the event to voice concerns, McOuat and Luke Frymire, co-president, ultimately decided to proceed as scheduled. Meg Tronson, Garvin’s support worker, said Effective Altruism should have done more to reach out to the disability community and work out alternative solutions. “When you create an idea without including the people [involved], there’s a problem around that,” she explained. “I think these people [in Effective Altruism] . . . they’re probably just unaware, and they’re not part of the disability community, so when people from the disability community communicate, there’s an obligation to listen. Prior to the event, a candlelight vigil was set up in the main SUB hallway in honour of the the Disability Community Day of Mourning, which was coincidentally on the same day. A chalkboard with the names of disabled victims of filicide — murder by one’s caregiver or family member — stood on display for passersby to see. Cascon said that Effective Altruism had reached out ahead of time to let CSEC know there would be a protest during the event. “We told them that if there are any issues . . . to give us a call,” Cascon said. He also explained that campus security respects everyone’s rights to free speech, including protesters. Video of the protest is available at our Facebook page; a recording of a later portion is available here. Despite the stated focus on the effective altruism movement, Singer was in fact asked to address his views on euthanasia, but his answer was inaudible over the din of the auditorium. Though the club did record a portion of the event, the recording of Singer’s answer has not been made publicly available as of yet. The Q&A wrapped up just before 4:30 p.m., about half an hour before the event was originally scheduled to finish. 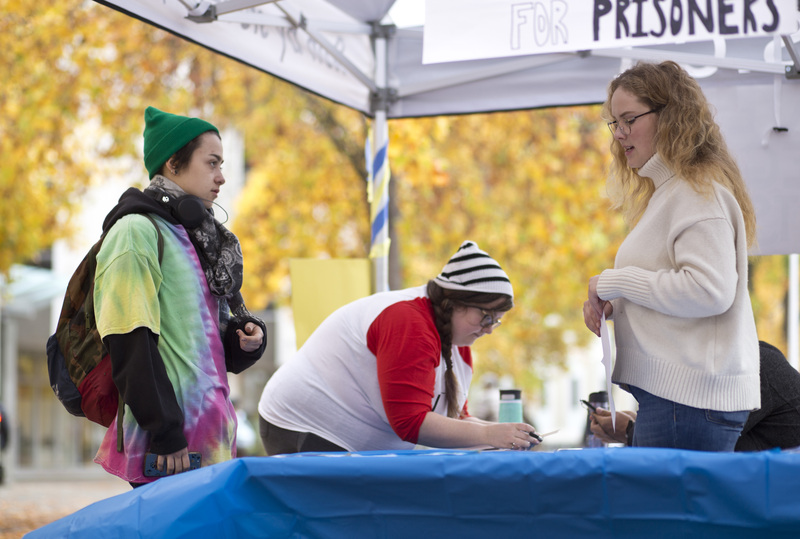 Cascon said campus security had suggested that Effective Altruism find a way to wrap the event up early rather than continue for the full length of time. Even after Q&A had ended and the audience had largely dispersed, Garvin and their fellow protesters lingered at the front of the stage. “That was emotionally draining,” Garvin said as other protesters calmly discussed plans for the evening. On the other side of the room, Effective Altruism members were in a similar bubble of post-hysteria high. CORRECTION March 7: We mistakenly quoted Wray McOuat as saying “most worthy, most cause-effective causes.” It should have read “most cost-effective causes.” We regret the error.